After the death of her daughter and the breakup of her marriage, Margaret returns to her family home in Maine in hopes of finding peace and the God she has lost. Instead she must relive the death of her sister and face long-buried secrets. 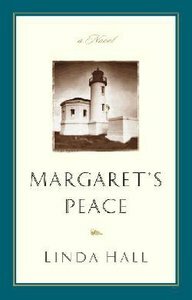 - Publisher After the death of her only daughter and the subsequent breakup of her marriage, Margaret Collingwood returns to her home in Coffins Reach, Maine, and to the seafront house she has inherited. She goes there to rest, to paint, and to find the God she has lost. Instead, she is thrust back twenty-five years and must relive the accidental death of her sister and face her family's long-buried secrets. When Margaret Collinwood inherits her childhood home in Coffins Reach, Maine, she returns to the seafront house hoping to rest, to paint, and to find the peace she has lost after the death of her daughter and the subsequent breakup of her marriage. But Margaret's return to her family home forces her to face difficult childhood memories surrounding the fatal accicdent that took the life of her sister twenty-five years earlier. As Margaret begins to examine the past, strange things start happening in the present. As she moves between her childhood memories,the ghostly legends surrounding her historic house, and the trendy cafes of the Maine coast, Margaret uncovers the truth hidden in long-buried family secrets. And in facing the past, she finds new hope for her future. After the death of her only daughter and the subsequent breakup of her marriage, Margaret Collingwood returns to her home in Coffins Reach, Maine, and to the seafront house she has inherited. She goes there to rest, to paint, and to find the God she has lost. Instead, she is thrust back twenty-five years and must relive the accidental death of her sister and face her family's long-buried secrets.